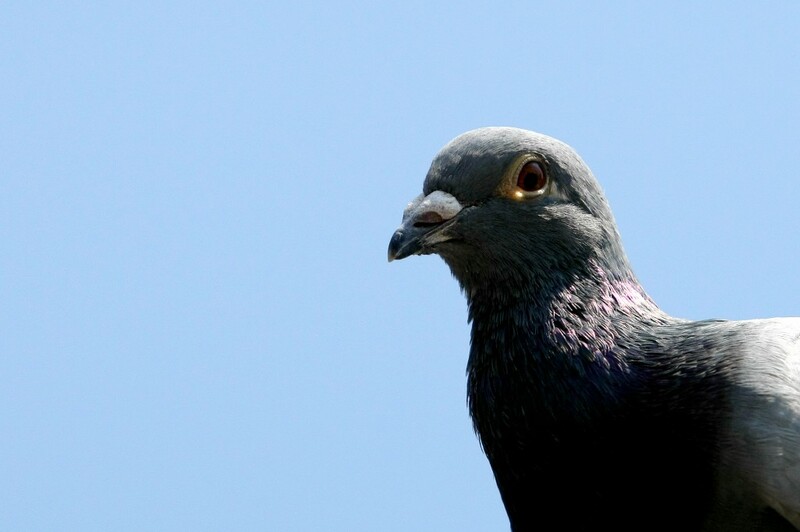 Pigeons are a normal part of the scenery, and some people even consider them a nuisance labeling them the rats of the sky. The traces left behind on terraces and garden furniture are probably to blame. For me, they are wonderful creatures, and I adore waking up in the morning hearing and seeing them. Usually, they are shy, but this little creature below was a notable exception. It had landed on the side of our roof, and just sat there for several minutes, even when my daughter and wife joined to start a conversation with it at a distance not more than a metre. I fetched my tele and had to step back a few metres to be able to focus it. It didn’t bother the curious creature – the ring showed it was a competition pigeon – that enjoyed all the interest.